Preparation and participation in class discussion, debates and simulation activities and in discussion sessions; prepare abstracts of colloquium readings on a rotating basis. Each student will prepare 5 typed and edited questions derived from each class set of readings and email them to tuftsepiic@gmail.com before each class. Also, there is mandatory attendance at the Outward Bound weekend, October 2-4, 2015. 7 pages each. Due Dates: September 18 and October 21 by 3:00pm, emailed to Heather (the question or choice of questions will be distributed one week prior to each due date). Late work will result in a half-grade deduction per day late. Late work will result in a half-grade deduction per day late. Students interested in conducting an on-site (abroad or in the US) research project over winter intersession or in presenting at the symposium MUST do a research paper, follow the research process, and meet all prerequisites. All EPIIC students participate in Inquiry – All students must complete the “Sexual Misconduct: How Teachers and Other Educators Can Protect Our Children – Higher Ed Version” online training (see attached for information) and print certificate of completion and give to Heather no later than September 28, 2015. There is a class fee of $500 that defrays the copying and the Weekend Immersion expenses -- no one will be excluded from the class due to financial constraints, if you have concerns about the fee, please come and talk to Sherman or Heather privately. The Class Fee will be added to your bursar bill. It is mandatory to participate fully in all EPIIC forums on Europe throughout the year. Please also note the following second semester dates that are mandatory: the EPIIC symposium: February 17-21, 2016; and the Inquiry simulation: April 7-9, 2016; and class will be held throughout the second semester on the same days and at the same time as the first semester. *While every effort will be made to keep these dates, they may be subject to change based on speaker availability. 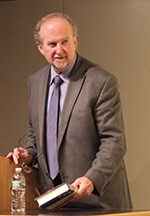 Tony Smith is the Cornelia M. Jackson Professor of Political Science at Tufts University, a senior fellow at the Center for European Studies at Harvard University, and a member of the Council on Foreign Relations. His interests include United States foreign policy with special emphasis on relations with Europe. He has written several books including America’s Mission: The US and the Worldwide Struggle for Democracy in the Twentieth Century (1994) and Foreign Attachments: The Power of Ethnic Groups in the Making of US Foreign Policy (2000). Smith is also author of numerous articles on third world studies and US foreign policy, many with respect to transatlantic relations. His book entitled A Pact with the Devil: Washington’s Bid for World Supremacy and the Betrayal of the American Promise was published in early 2007. In early 2009 he published American Foreign Policy in Crisis with Anne-Marie Slaughter and others. This year, an expanded edition of his book, America’s Mission: the United States and the World-Wide Struggle for Democracy was published. He is currently working on a book on American democracy promotion from the first writings of Woodrow Wilson to today. His books include The French Stake in Algeria (1978); The Pattern of Imperialism (1981), and A Pact with the Devil: Washington's Bid for World Supremacy and the Betrayal of the American Promise (2007). Sebastián Royo is Vice Provost and Professor of Government at Suffolk University. His research focuses on comparative political economy in Southern Europe. At CES, he is Co-Chair of the Study Group A Center-Periphery Europe? Perspectives from Southern Europe. He is the author of several books, including Lessons from the Economic Crisis in Spain (2013), Portugal in the 21st Century (edited 2011), and Varieties of Capitalism in Spain (2008). He has published articles in Governance, Review of Political Economy and many other journals. Mark Blyth is Eastman Professor of Political Economy and faculty fellow at the Watson Institute for International and Public Affairs at Brown University. He is based in political science but his research begs and borrows from multiple fields. He is particularly interested in how uncertainty and randomness impact complex systems, particularly economic systems, and why people continue to believe particular economic ideas despite buckets of evidence to the contrary. He was a member of the Warwick Commission on International Financial Reform that made an early case for macro-prudential regulation. He is the author of several books including Great Transformations: Economic Ideas and Institutional Change in the Twentieth Century (Cambridge: Cambridge University Press 2002, and most recently, Financial Times Books of the Year (economics List) Austerity: The History of a Dangerous Idea (Oxford University Press 2013), which questions the return to prominence of financial orthodoxy following the global financial crisis. Enrico Spolaore is a Professor of Economics at Tufts University and a Research Associate at the National Bureau of Economic Research (NBER), where he is a member of the Political Economy Program. He is also a CESIfo Fellow at the University of Munich and an External Associate at the University of Warwick’s Centrefor Competitive Advantage in the Global Economy (CAGE). His main research interests are in political economy, economic growth and development, and international economics. Among his publications are “On the Number and Size of Nations” (with Alberto Alesina, Quarterly Journal of Economics, 1997), “Economic Integration and Political Disintegration” (with Alberto Alesina and Romain Wacziarg, American Economic Review, 2000),“On the Evaluation of Economic Mobility” (with Peter Gottschalk, Review of Economic Studies, 2002), “The Diffusion of Development” (with Romain Wacziarg, Quarterly Journal of Economics, 2009), “How Deep Are the Roots of Economic Development?” (with Romain Wacziarg, Journal of Economic Literature, 2013), “What is European Integration Really About? A Political Guide for Economists” (Journal of Economic Perspectives, 2013), and several other articles and book chapters. Spolaore’s publications also include the monograph The Size of Nations (with Alberto Alesina, MIT Press, 2003 – paperback edition, 2005), and two edited volumes on Culture and Economic Growth (Edward Elgar, 2014). Before joining the Tufts faculty in 2004, Spolaore held faculty positions at the Université Libre de Bruxelles, Ohio State University, Boston College, and Brown University. He also worked as a consultant for the Confederation of Italian Industries (Confindustria) and the European Commission. At Tufts he served as Chair of the Economics Department between 2006 and 2012. Spolaore was born in Italy, and holds Italian and U.S. citizenships. 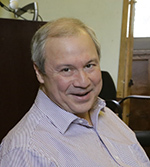 Mitchell A. Orenstein is Professor of Central and East European politics in the Slavic Department at the University of Pennsylvania and an associate of the Davis Center for Russian and Eurasian Studies at Harvard University. 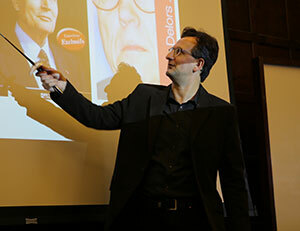 His published work focuses on the political economy and international affairs of Central and Eastern Europe. Orenstein’s first book, Out of the Red: Building Capitalism and Democracy in Postcommunist Europe, won the 1997 Gabriel A. Almond Award of the American Political Science Association for the best dissertation in comparative politics. Professor Orenstein has also published two books on European social policy with the World Bank. Roma in an Expanding Europe: Breaking the Poverty Cycle, co-authored with Dena Ringold and Erika Wilkens, is a seminal study of Roma poverty, sociology, and public health. It won the Voter’s Choice Award for the most innovative analytical and advisory activity and the World Bank Europe/Central Asia Knowledge Fair in 2004. Pension Reform in Europe: Process and Progress, co-edited with Robert Holzmann and Michal Rutkowski, analyzes the political economy of pension reform throughout the European Union. Orenstein’s teaching encompasses the fields of comparative politics, European studies, and international political economy. He teaches an elective course on Russia and Eastern Europe in International Affairs at the undergraduate level, which analyzes the geopolitical competition between the European Union and Russia over the countries in between. Professor Orenstein also teaches political economy courses on Communism and Globalization at Penn. Prior to joining the faculty of University of Pennsylvania in 2015, Orenstein held appointments at Harvard, Yale, Brown, Northeastern, Syracuse, Johns Hopkins, and Moscow State Universities. Orenstein’s research has been recognized with fellowships from the MacAr- thur Foundation, American Council of Learned Societies, and Woodrow Wilson International Center for Scholars. He has consulted for the World Bank, USAID, the government of Slovakia, and other organizations. Professor Orenstein has lived in Britain, France, Czech Republic, Poland, and Russia. A seasoned military diplomat, scholar, foreign policy practitioner and teacher, Don Thieme brings more than 25 years of global experience to the educational ‘classroom.’ Before retiring from the U.S. Marine Corps, Don served in various Marine infantry and Reconnaissance units that deployed to Southeast Asia, the Mediterranean, the Middle East and Horn of Africa. When not deployed, Don was an Olmsted Scholar (Uniwersytet Jagielloński, Kraków), a Council on Foreign Relations Term Member, and an MIT Seminar XXI Fellow. He was a personal advisor to the Chairman of the Joint Chiefs for NATO expansion, theater campaign plans chief for U.S. Central Command, and served seven years as a senior attaché in Warsaw and London, where he regularly analyzed foreign policy and recommended pragmatic actions to very senior U.S. and foreign leaders in the pursuit of U.S. strategic objectives. Don has taught in various fora from West Point classrooms to desolate train tracks at Auschwitz, focused on the art – and action – of learning more than just strings of facts, but the inherent complex inter-relationships of human-ness in chaotic environments. He has lived more than a dozen years overseas, and visited more than 60 countries. He has published several articles, and helped conceive and write the Harvard University Carr Center Mass Atrocity Response Operations Handbook. Currently working on his PhD, Don is researching modern slavery and human trafficking in and via Europe. Don spends his ‘spare’ time helping raise four amazingly dynamic children, hunting and fishing, and leading a Boy Scout Troop. • Vladislav Inozemtsev and Andrei Barabashin, “A Grand Bargain with Russia,” Foreign Affairs. • Orenstein, Vladimir Putin: An Aspirant Metternich? • Heather Grabbe. How Does Europeanization Affect CEE Governance? Condition- ality, Diffusion, and Diversity, Journal of European Public Policy 8:6, 2001. • Heather Grabbe. Europeanization Goes East: Power and Uncertainty in the EU Accession Process. • Lilia Shevtsova, Putin’s New World Order, The Washington Post, May 9, 2014. [Available through Lexis-Nexis]. • Mark Leonard and Nicu Popescu, “A Power Audit of EU-Russia Relations.” European Council on Foreign Relations, 2007. Professor Ioannides joined the Tufts faculty in September 1995 as the Max and Herta Neubauer Professor in Economics. Previously he taught at Virginia Polytechnic Institute and State University where he served as Department Head from 1989-1995. He has also held an appointment as a Professor of Economics at the Athens School of Economics and Business, Athens, Greece, and was a Research Associate at the National Bureau of Economic Research from 1982-1993. His research interests are macroeconomics, economic growth and inequality, social interactions and networks, and housing markets. He is currently an Associate Editor of Regional Science and Urban Economics and of The New Palgrave Dictionary of Economics, second edition. He served as a member of the MacArthur Foundation Research Network on Social Interactions and Economic Inequality, and as a consultant to the US Department of Housing and Urban Development, the European Investment Bank (Luxembourg), and other EU, US, and Greek institutions. 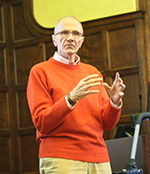 He has participated widely in conferences and has published articles in many leading journals including: American Economic Review, Journal of Economic Literature, Journal of Economic Theory, International Economic Review, Quarterly Journal of Economics, Economic Journal, Regional Science and Urban Economics, The Scandinavian Journal of Economics, Journal of Urban Economics, and Review of Economics and Statistics. His research has been funded by the National Science Foundation and most recently by the John D. and Catherine T. MacArthur Foundation. • The Eurozone Crisis: A Consensus View of the Causes and a Few Possible Solutions This is an e-book, free online. Mark J. Miller is the Emma Smith Professor of Political Science and International Relations at the University of Delaware. He joined the Department in 1978. He specializes in Migration Studies, Comparative Politics, and European Politics. His research focuses on comparative immigration and refugee policies, global migration and migration and security. His recent publications includeThe Age of Migration, 5th ed. ; ‘Land of Immigration’, The Cairo Review of Global Affairs, 9/Spring 2013; and 'The Diffusion of Norms Concerning Trafficked and Battered Women: The Greek-US Evolution post-1990,' in A. Brysk and A. Choi-Fitzpatrick,eds. Human Trafficking and Human Rights:Rethinking Conemporary Slavery, with G. Wasileski. Mark Miller was joined by Julia Stewart-David, a Fletcher EU Fellow, Kelly Greenhill, Associate Professor in the Tufts Political Science Department. Listen to the class here! Malik Mufti is Professor of Political Science at Tufts University. He teaches courses on international relations as well as the politics of the Middle East. He is the author of Sovereign Creations: Pan-Arabism and Political Order in Syria and Iraq (1996), and Daring and Caution in Turkish Strategic Culture: Republic at Sea (2009). He has also written shorter pieces on the domestic politics, international relations, and political thought of the Near East, including his latest two journal articles "Jihad as Statecraft: Ibn Khaldun on the Conduct of War and Empire" (History of Political Thought, Autumn 2009), and "The Many-Colored Cloak: Evolving Conceptions of Democracy in Islamic Political Thought" (American Journal of Islamic Social Sciences, Spring 2010). His current projects include a study of Ibn Khaldun's concept of asabiyya, and a larger research project on realpolitik in Islamic political thought. He is a recipient of the Lillian and Joseph Leibner Award for Distinguished Teaching and Advising. • Ziya Öniş. “Luxembourg, Helsinki and Beyond: Towards an Interpretation of Recent Turkey-EU Relations”, Government and Opposition, vol. 35, no. 4 (Autumn 2000), pp. 463-483. • Soner Çağaptay. “European Union Reforms Diminish the Role of the Turkish Military”, WINEP PolicyWatch #781 (12 August 2003), 2 pp. • Meltem Müftüler-Baç & Yaprak Gürsoy. "Is There a Europeanization of Turkish Foreign Policy? An Addendum to the Literature on EU Candidates", Turkish Studies, vol. 11, no. 3 (September 2010), pp. 405-427. • Cerem I. Cenker Özek & Tarık Oğuzlu. "Beyond the Institutional Logics: International Level Systemic Analysis of EU-Turkish Relations", Turkish Studies, vol. 14, no. 4 (2013), pp. 688-708. • Ahmet Evin et al. "Getting to Zero: Turkey, Its Neighbors and the West", Transatlantic Academy Report (3 June 2010), 50 pp. • Keridis, Demitris. “Domestic Developments and Foreign Policy: Greek Policy Toward Turkey”, Greek-Turkish Relations in the Era of Globalization, Dimitris Keridis and Dimitrios Triantaphyllou (2001) pp 2-18. Part I: "The idea of European civilization: the permanent regime founded on corruption"
Ibn Khaldun, The Muqaddimah: An Introduction to History. 1377. pp. 249-61, 282-83. Charles Louis Secondat, Baron de Montesquieu, The Spirit of the Laws (L'Esprit des Lois). 1748. 20.1-3, pp. 338-39. Immanuel Kant, "Idea for a Universal History with a Cosmopolitan Intent." 1784. pp. 29-40. Alexis de Tocqueville, Democracy in America. 1835-40. II.2.13, pp. 511-12; II.3.17, pp. 587-88; II.3.21, pp. 616-17. Friedrich Nietzsche, The Will to Power. 1880s. Preface-12a. Joshua Mitchell, 'Age of Exhaustion. 'The American Interest. 2015. America and the Imperial Idea," The National Interest (1997): 3-15. Mark Lilla, “The Truth about our Libertarian Age,” The New Republic. June 2014. Barack Obama, Nobel Peace Prize 2009 lecture, "A Just and Lasting Peace." European Union, Nobel Peace Prize 2012 lecture, "From War to Peace: A European Tale." David Brooks, “Enter the Age of the Outsiders,” The New York Times. 20 October 2015. Ethan Corbin is the Director of the Defence and Security Committee at the NATO Parliamentary Assembly. He completed his doctorate in international relations at the Fletcher School of Law and Diplomacy at Tufts University in May, 2013. Prior to joining the NATO Parliamentary Assembly, Ethan was a Lecturer in political international relations at Tufts University teaching courses on U.S. foreign policy and international security studies. His research interests include U.S. foreign policy, international security, international organizations, and Middle Eastern politics. From 2011-2013, Ethan was a Research Fellow at the Belfer Center for Science and International Affairs at Harvard’s Kennedy School of Government. Ethan has published on topics ranging from Syrian foreign policy, peacekeeping operations, and insurgency and counter-insurgency warfare. Ethan has also worked for the State Department and the Department of Defense. Other past fellowships include: Earhart Foundation, Institut d’Etudes Politiques de Paris (Sciences-Po), and The Eisenhower Institute. • Goldgeier, James M. “The Future of NATO” Council on Foreign Relations (Council Special Report No. 51), February 2010. • Kuperman, Alan J. “A Model Humanitarian Intervention? Reassessing NATO’s Libya Campaign” International Security, Vol. 38, No. 1 (Summer 2013) pp. 105-136. • Heisbourg, François, “Preserving Post-Cold War Europe” Survival (57:1), pp. 31-48. • Kroenig, Matthew “Facing Reality: Getting NATO Ready for a New Cold War” Survival (57:1), pp. 49-70. • Zadra, Roberto “NATO, Russia and Missile Defence” Survival (56:4), pp. 51-61. • Wickette, Xenia and McInnis, Kathleen J. “NATO: Charting the Way Forward” Chatham House, US Project, July 2014. • Simon, Luis “Understanding US Retrenchment in Europe” Survival, (57:2) pp. 157-172. • Simon, Luis “NATO’s Rebirth: Assessing NATO’s Eastern European ‘Flank’” Parameters 44 (3), Autumn 2014. • Giles, Keir, et. al. “The Russia Challenge” Chatham House Report, June 2015. • Roberts, Peter, “Militarising the EU Migration Plan: A Flawed Approach” RUSI Newsbrief, 7 July 2015. • Barrett, Richard, “Foreign Fighters in Syria” The Soufan Group, June 2014. • Park, Jeanne, “Europe’s Migration Crisis” Council on Foreign Relations (CFR Backgrounder), September 23, 2015. • Stent, Angela E., Russia Reborn: Unification, The Soviet Collapse, and the New Europe, Princeton University Press, 1999. Karl Kaiser is Adjunct Professor of Public Policy at the Kennedy School and Director of the Program on Transatlantic Relations of the Weatherhead Center for International Affairs. He was educated at the Universities of Cologne, Grenoble and Oxford and taught at the Universities of Bonn, Johns Hopkins (Bologna), Saarbruecken, Cologne, the Hebrew University, and the Departments of Government and Social Studies of Harvard. He was a Director of the German Council on Foreign Relations, Bonn/Berlin and an advisor to Chancellors Brandt and Schmidt. He was a member of the German Council of Environmental Advisors. He serves on the Board of Foreign Policy, Internationale Politik, the Advisory Board of the American-Jewish Committee, Berlin, and the Board of the Federal Academy of Security Policy, Berlin. He is a recipient of the Atlantic Award of NATO. Professor Kaiser is the author or editor of several hundred articles and about fifty books in the fields of world affairs, German, French, British and US foreign policy, transatlantic and East-West relations, nuclear proliferation, strategic theory, and international environmental policy. He holds a Ph.D. from Cologne University and an Honorary Doctorate of the Russian Academy of Sciences. Dr. Mai’a K. Davis Cross is an assistant professor of political science and international affairs at Northeastern University and an expert on European politics, especially foreign and security policy, epistemic communities, crises, diplomacy, and public diplomacy. She is the author of Security Integration in Europe: How Knowledge-based Networks are Transforming the European Union, which is the 2012 winner of the Best Book Prize from the University Association of Contemporary European Studies, and The European Diplomatic Corps: Diplomats and International Cooperation from Westphalia to Maastricht. She is co-editor (with Jan Melissen) of European Public Diplomacy: Soft Power at Work, and her current single-authored book project is entitled, The Politics of Crisis in Europe. Dr. Cross has also published numerous articles, book chapters, policy briefs, and public commentary on a wide range of issues. She serves on several editorial and advisory boards, and is a Term Member of the Council on Foreign Relations. She has also been a Fulbright Fellow in European Union Studies and Visiting Fellow at the EU Institute for Security Studies in Paris. Russian Hybrid Warfare: Threat to Europe? Richard H. Shultz is Professor of International Politics and Director of the International Security Studies Program at The Fletcher School at Tufts University. He has held three chairs: Olin Distinguished Professor of National Security, U.S. Military Academy; Secretary of the Navy Senior Research Fellow, Naval War College; and Brigadier General Oppenheimer Chair of War-fighting Strategy, U.S. Marine Corps. Since the mid-1980s, he has served as a security consultant to various U.S. government agencies concerned with national security. He will publish this academic year a new book on the U.S. Marine Corps’ 2004-2008 counterinsurgency campaign in Iraq titled, The Marines Take Anbar: The Four-Year Fight to Defeat al Qaeda in Iraq. He has recently initiated a new research project with Dr. Querine Hanlon of United States Institute of Peace that will focus on designing a new U.S. approach to Security Sector Reform that draws on existing theory and international practice, as well as U.S. experience, to identify flexible tools for addressing dysfunctional security sectors in fragile states. His most recent book is Insurgents, Terrorists, and Militias: The Warriors of Contemporary Combat (Columbia University Press, 2006; 2009 Paperback). Recent articles include “A QDR for all Seasons,” Joint Forces Quarterly (September 2010) and “The Sources of Instability in the Twenty-First Century Weak States, Armed Groups, and Irregular Conflict,” Strategic Studies Quarterly (Summer 2011). Lionel K. McPherson is an Associate Professor of Philosophy at Tufts University. His research interests include normativity, the basis and extent of obligations, war and terrorism, and race. Between philosophy schoolings, he worked at Fairness and Accuracy in Reporting (FAIR) and wrote arts criticism. His publications include "Blackness and Blood: Interpreting African American Identity" (with Tommie Shelby, Philosophy & Public Affairs, 2004), "Is Terrorism Distinctively Wrong?" (Ethics, 2007), and "Normativity and the Rejection of Rationalism" (The Journal of Philosophy, 2007). Mario De Caro teaches Moral Philosophy at Università Roma Tre. Since 2000 he has also been teaching at Tufts University. He received his first degree and his PhD in Philosophy at University of Rome "La Sapienza". He spent two years at MIT as a Visiting Graduate Student and one at Harvard University as a Fulbright Fellow. He is Associate editor of the Journal of the American Philosophical Association, forthcoming for Cambridge UP in 2015 and a member of the editorial and scientific boards of several international journals. He is Vice President of the Consulta Filosofica Italiana, a former President of the Italian Society for Analytic Philosophy, and a member of the American Philosophical Association on whose Committee on Academic Career Opportunities and Placement he served 2009-2013. Elizabeth H. Prodromou is Visiting Associate Professor of Conflict Resolution at The Fletcher School for Law & Diplomacy at Tufts University, where she teaches in the Program in International Negotiation and Conflict Resolution. She is Co-Chair of the Eastern Mediterranean and Europe Study Group at Harvard University’s Center for European Studies. Before coming to Fletcher, Prodromou served a diplomatic appointment as Vice Chair and Commissioner on the U.S. Commission on International Religious Freedom (2004-2012); and since 2011, is a member of the U.S. Secretary of State’s Religion & Foreign Policy Working Group, serving on the Subgroup on Religious Freedom, Democracy, and Security in the Middle East and North Africa. Her research deals with issues of religious freedom, democratization, and security threats, with particular focus on comparative religion-political regimes in the Near East and on Transatlantic responses to religious radicalism. Published widely in scholarly and policy journals and international media, she has been involved in research and advisory work for international and non-governmental organizations on religious freedom rights. Her current research focuses on rights of religious minorities under secularist and non-secularist regimes, as well as on strategies of religious institutions to state repression and persecution. The Program Committee will present its current discussions for feedback from the class and invited guests. Special Events, Voices from the Field, Inquiry and the International Students Committees will also provide brief overviews. Bruce Hitchner is Professor of Classics and International Relations. He served as Chairman of the Classics Department at Tufts University from 2003 to 2009 and Editor-in-Chief of the American Journal of Archaeology from 1998 to 2006. Hitchner is also the Chairman of the Dayton Peace Accords Project (Dayton Project), a non-governmental organization. Hitchner was a member of the negotiating team that assisted the political parties of Bosnia in producing the April 2006 Package of Constitutional Amendments. Under Hitchner's direction, the Dayton Project has organized numerous international conferences, and workshops on the Dayton Peace Process, Kosovo, Montenegro, and other Balkans issues attended by the international community, regional specialists, journalists, business leaders, non-governmental organizations, and representatives from the successor states of the former Yugoslavia. Hitchner has testified before the US Congress on the Balkans. He is the co-author with Marshall Harris, Michael Scharf, and Paul Williams of Making Justice Work: The Report of the Century Foundation / Twentieth Century Fund Task Force on Apprehending Indicated War Criminals. From 1996 to 2003 he served as director of the Center for International Programs at the University of Dayton. Listen to class recording here! Carol R. Saivetz is a research associate at Harvard’s Davis Center for Russian and Eurasian Studies and a research affiliate at the Security Studies Program at MIT, where she is running a seminar series on Central Asia and Afghanistan. From 1995-2005, she was the Executive Director of the American Association for the Advancement of Slavic Studies, the major professional organization in the field of Russian, Eurasian, and East European studies. From 1992-2006, she was a Lecturer in Government at Harvard, where she taught courses about Russia and the Middle East. She is currently teaching Russian foreign policy in the Political Science Department at MIT. Professor Saivetz has consulted for the US Government on topics ranging from energy politics in the Caspian Sea region to Russian policy toward Iran. She is the author and contributing co-editor of five books and numerous articles on Soviet and now Russian foreign policy issues, including an assessment of the “reset,” Russian policies toward the other Soviet successor states, and Russian attitudes toward the “Arab Spring.” Her current research interest is energy competition in and around the Black Sea region. Her most recent publications analyze the newly resurgent Russia’s foreign policies—including energy policies and reactions to EU and NATO expansion. Listen to the class recording here! Ariane Chebel d’Appollonia is Associate Professor at the School of Public Affairs and Administration at Rutgers University (New Jersey). She is also Senior Researcher affiliated to the Center for Political Research at Sciences Po Paris. She is currently co-organizing the international project SoMi (Securitization of Migrant Integration) Her research focuses on immigration, discrimination and security issues. She has taught at universities in France (Paris III-Sorbonne, the Columbia University and the University of Chicago Programs in Paris) and in the US (New York University, University of Pittsburgh). She published seven books and co-edited two books with Simon Reich entitled Immigration, Integration and Security: America and Europe in Comparative Perspective (2008) and Managing Ethnic Diversity After 9/11: Internal Security and Civil Liberties in Transatlantic Perspective (2010). Her last two recently published books are entitled Les Frontieres du Racisme (Presses de Sciences Po, 2011) and Frontiers of Fear: Immigration and Insecurity in the United States and Europe (Cornell University Press, 2012). Vivien A. Schmidt is Jean Monnet Professor of European Integration, Professor of International Relations and Political Science at Boston University, and Founding Director of BU’s Center for the Study of Europe. 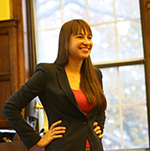 Her research focuses on European political economy, institutions, democracy, and political theory. Recent books include Resilient Liberalism in Europe’s Political Economy (co-edited, 2013), Debating Political Identity and Legitimacy in the European Union (co-edited, 2011), Democracy in Europe (2006)—named in 2015 by the European Parliament as one of the ‘100 Books on Europe to Remember’—and The Futures of European Capitalism (2002). Schmidt is a Visiting Professor at LUISS Guido Carli University in Rome and at the Copenhagen Business School. She is past head of the European Union Studies Association (EUSA) and sits on the advisory boards of the Wissenschaft Zentrum Berlin, the Vienna Institute for Peace, and the Foundation for European Progressive Studies (Brussels). She has published ten books, over 100 scholarly journal articles or chapters in books, and numerous policy briefs and comments, most recently on the Eurozone crisis. Her current work focuses on democratic legitimacy in Europe, with a special focus on the challenges resulting from the Eurozone crisis, and on methodological theory, in particular on the importance of ideas and discourse in political analysis (discursive institutionalism). 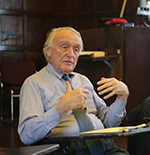 Professor James Cronin teaches modern British and European history at Boston College. Over the past decade his research interests have involved the relationship between states and social structures, political parties, and the rise and fall of the Cold War world order. His most recent book focused on a study of British and American foreign policy, and the Anglo-American alliance, since the crisis of the 1970s. Professor Cronin is an associate of the Center for European Studies at Harvard University, where he chairs the British Study Group, and he serves on the editorial boards of the Journal of Social History and British Politics. He has been awarded fellowships by the National Endowment for the Humanities and the German Marshall Fund and is a fellow of the Royal Historical Society.